An Arabian warrior girl must find the sender of these mysterious missives. You play as a feline escape artist named Putty, who must save her little brother from a gang of dogs. Really nice. Made me panic a little but not enough to want to tear my hair out. The art is really good all over, and I'm curious about the story of it all. My First Game Jam: Summer 2017 community · Replied to qbradq in [devlog] She Snapped! thank you! We're glad you like them. My First Game Jam: Summer 2017 community · Posted in [devlog] She Snapped! 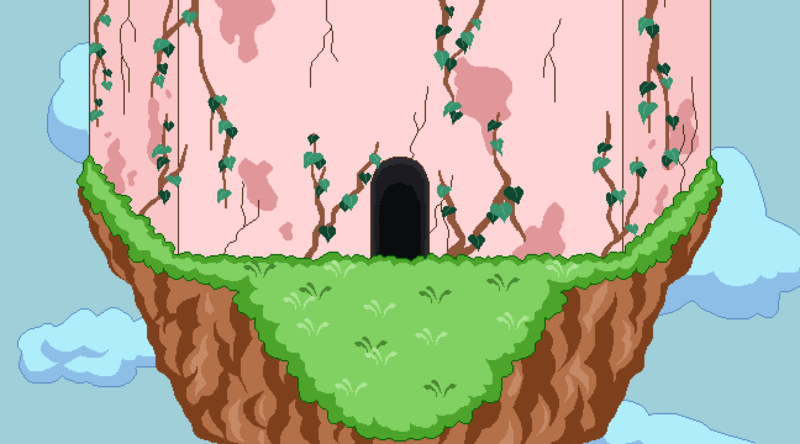 Here are some animations that were done for the first level as well as some vines to block the entrance until you complete the current puzzle. Once completed, the vines animate and go back into the ground. I finished making the maps of the first (both inside and out) and second floor of our tower, which is the setting our protag is in. The difference is minimal when you first look at them, but a lot of small things are changed between them like the patches on the wall, vines, leaves, and grass tufts. 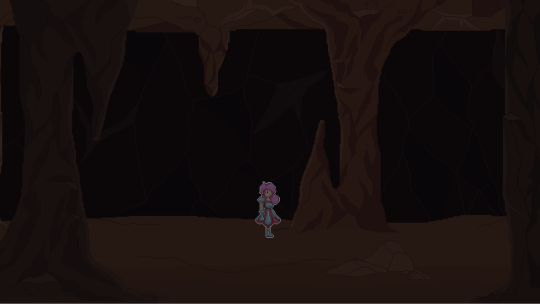 Also, even though the backgrounds look similar, the puzzles in these levels are going to be quite different as well. 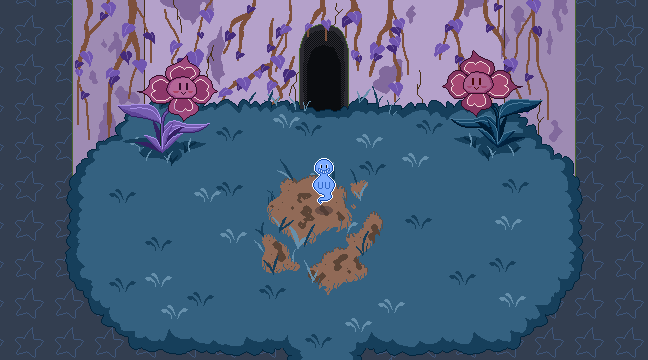 Also it looks like we're just going to be using the same characters that I designed for the mockup in my first post, so I went ahead and animated the little ghost character in them. 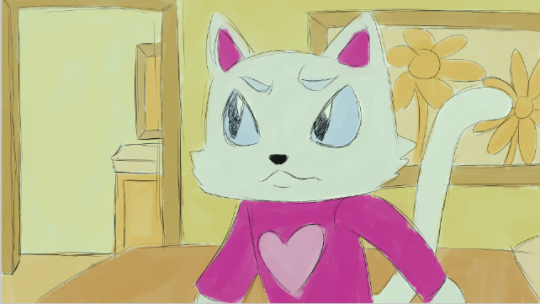 Will be uploading him later and working on the animations for the flowers and other animated background elements. Other things I've finished animating so far are the fountain and "your demise"sign. Both are very simple, but overall give life to the envirnment you're walking around in. I absolutely love this art. good job! My First Game Jam: Summer 2017 community · Replied to J in [devlog] She Snapped! My First Game Jam: Summer 2017 community · Created a new topic [devlog] She Snapped! I loved it! super nice demo, and very interesting. I kind of guessed it's ending, but I would love to know what happens next xD good job! I enjoyed this one. It had a really nice message at the end, and although the story was short, it was pretty good. ★ TyranoBuilder Spring Game Jam 2017! ★ community · Posted in Need a Devlog? its most likely optional, I just like to make one to pretty much keep myself motivated. If you'd like, maybe you can ask on steam in the discussions? I personally didn't ask before I posted haha oops. What do you guys think? I know its not super fancy or anything, but I think it works well with the of the game. -Created and added 11 more bust expressions for Naya. -Changed a bit of the dialogue to make more sense with the story. -Added a few hidden and interactible items/events in the current maps. -Created two item images. They show up when you find those respective items to indicate what you found. I still need to create more of those item images, but I think I'm going to be doing that as I create said items rather then prepare them beforehand. 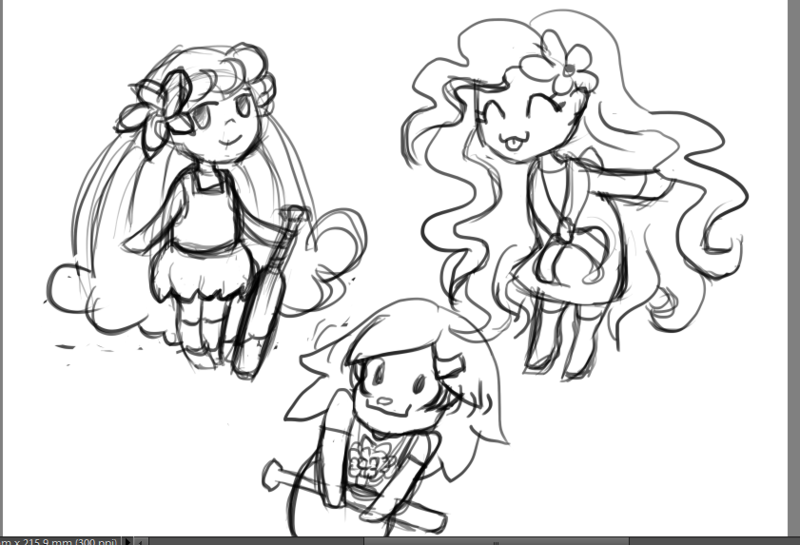 I'm also super excited to start on some new maps and characters! xD this is gonna be fun! Testing out the room in which you get the item you need to proceed after you complete two puzzles. Can you guess the hidden meaning behind some of the drawings in this room? Ok! So I FINALLY got the new light item to work (oh God that only took forever). I'll have to get back to that later I suppose. For now, I'm in a desperate need for more facial expressions for Naya, and maybe a few item Images too. oh, and by the way, this item was made using Galv's Visibility Range plugin. I've already implemented the falling animation into the puzzle, now I just have to finish linking the two puzzles together properly (which I managed to confuse myself while trying the first time), and make it so that you can move on into the next room and take the item waiting there. *After finally finishing the 2nd puzzle, I'm going to be fixing up the item that you're going to be using to light your way, as I had left that for later. *Creating the town that you will be entering later on in the game. 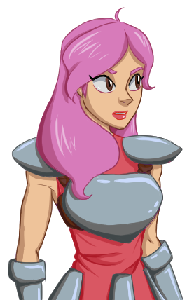 *Continuing to create the rest of the battler sprite sheet for Naya (main character) as well as implement the Yanfly's animated battler plugin into my game. I enjoyed the simplicity of the models and textures very much, and the dialogue was adorably silly. I was caught completely off guard because of final boss, but that was obviously because you ran out of time to finish it. The only thing that I would suggest working on would be the character's aim, because having to move a little bit towards the enemies so that your arrows would hit them proved to be a little tedious (especially if they somehow snuck up on you and were really close by the time you saw them). Woah! Update on the same day, man! I'm going to be chipping away at that little by little as I work on the levels of the game. Haha the side-view battle system seems a bit complicated to get into, but I'm sure I'll be able to figure it out as I go along. The Golden Letters is a puzzle RPG game made in RPG Maker MV that features all original artwork, tilemaps, and sprite sheets. 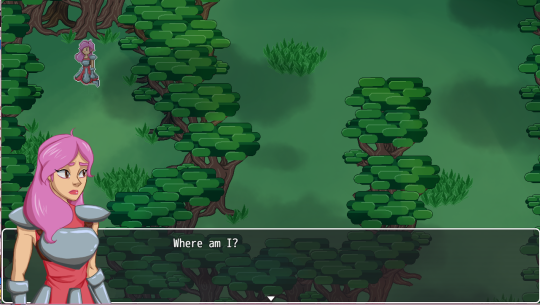 The game will mostly be story-based, with a female protagonist that wakes up in a forest. She is unable to remember where she came from, or how she got there. All she can remember is her name: Naya. As you play the game, Naya will come accross some golden envalopes that contain letters written on equally golden paper. They appear to be from someone who knows her, however she has no way to contact them back, and with every letter you recieve, they seem to be getting more and more frightened and desperate. It' your job to help Naya find these golden letters and follow their directions on where to go and what to do next in order to get whoever sent them out of their mysterious situation. This game is still in the very early stages of development, and there is no set date for completion. I plan on having the demo out within a month or two, currently. This may change depending on the circumstances. I just tested out the game by downloading it from here on itch, but I didn't run into this error after the message. You were talking about the one right after the intro, right? I'm asking because you can also check how to play the game if you look in your items menu. So far after the intro, it seems fine. Oh? hm...let me look into it. Thanks so much for letting me know! Because the res is so high, the characters had to be 3x the size that rpg maker mv usually requires, which means that the characters' sprites are gonna be tall and end up going under the "par" layer when using either Orange Overlay or Kaus Ultimate Overlay plugin. I other words, I'll either have to live with the way the game looks now, or remove the para layer completely. Maybe a middle ground would be to remove some of the para in some places and leave it in others. I'll still look weird though. It's a good thing that I made my other game (the one I was working on before this one, The Golden Letters) 1280 x 720 instead. much easier to control. -Added an item in the inventory that shows you how to play the game when used. -Fixed a game-breaking bug I discovered that prevented the player from moving at the very end of the game. -Finished the ending images and evented them in. -Did a few last minute play tests to make sure everything was working. Yey!! Be sure to take a look at it! Thanks for following my progress on this game, and I hope to enter again next time! Oh I see! Sorry about that then haha. Well thank you for such a quick reply! I absolutely love the parallax maps that you made for this game, and the character is adorable! I'm pretty impressed with all your visuals, actually. However, I don't know if there's a bug that I found, or I just did something wrong: In the part where you run away from the villagers and into a tiny house, I find the key, but I can't use it on any of the doors, and I can't go outside either. I tried finding the menu button to access the items, but it doesn't look like you have one? - Playtested a few times to make sure the last 2 levels were hooked up correctly. found a few bugs that I had missed/ things I forgot to event in, and fixed them. 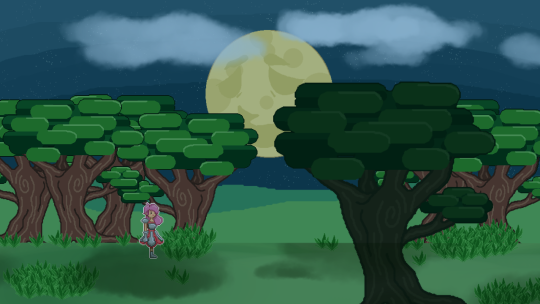 -Finished the last 3 images in the intro and evented it so that it would play at the beginning of the game. -Parallax mapping and fixing the random transparency issue in the maps using the Orange Overlay (or if I run into problems, the Kaus Ultimate Overlay) plugin. Hopefully, I'll make it with a complete game by the deadline after all! I'm not out of danger just yet, but I shall try my darnedest! Well, It looks like today was wasted a bit because the gameplay I had in mind for the final level (4) isn't going to work, so I'm going for something else. It's a bit harder than the other levels since in this one (so far) there will be 3 dogs chasing you, as well as the Boss to deal with. 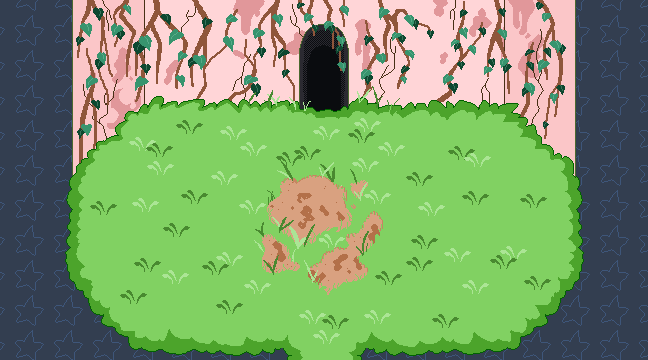 I'm keeping the other gameplay that I'm trying to implement a secret for now. 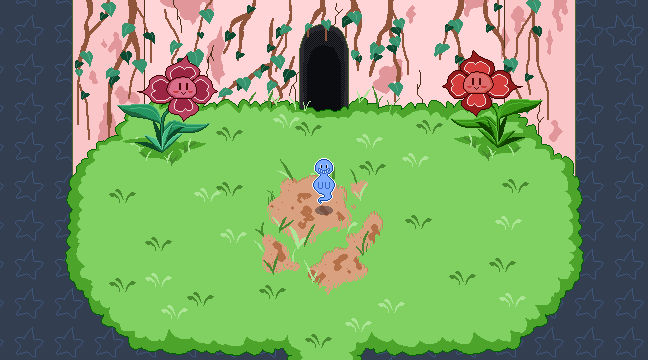 I've finished half of the eventing for the final level so far, but hopefully tomorrow I'll be able to finish it completely and start with the finishing touches of my game. -using the Orange Overlay plugin to make the hiding spots able to actually cover the character while hiding behind things like boxes and tables and the like. -Make and add the credits to the end of the game. It seems like a short/easy list, but the amount of things that I need to get done is actually a lot more than it looks. Here's hoping I can finish it all. I already cut the part where you were supposed to rush all the way back up the building to the window that Putty came in from in the beginning after you save Goob. ahaha thank for the complement! But I was hoping this post could stay PG if you please? I don't know if there are any kids looking around these forums. plus the link isn't really safe for work. very short and cute game! So yesterday I didn't manage to work at all haha. I fell right asleep after I got back from work, so this is a bit late. 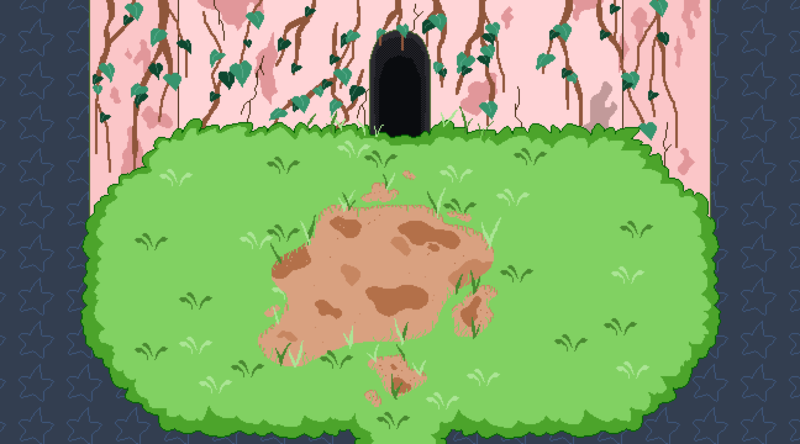 -Fixed a bug with the doors to the other levels, since if you were right up against the wall and tried facing down to use it, it wouldn't work. This problem was causing the dog enemy to catch you before you could possibly step back to try again. Don't worry, though! The fix was really simple and it works perfectly now. -Created the final boss character!! Big Dog's goal is to someday take over the city. But first, he's gotta rake in a lot of cash! Kidnapping Putty's little brother seems like the perfect way to do it…or is it? Ok so it's actually the 16th right now. I wanted to post this yesterday, but it was pretty late by the time I stopped working on it, so here I am now. -I managed to make more items in my tilemaps for both level 2 and 3. -Finished most (if not all) of eventing the puzzle in level 3. 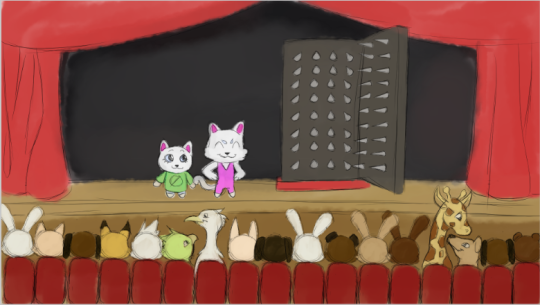 -Started with drawing and coloring the images that will be shown in the intro of the game. Here are some SCREENSHOTS. xD Haven't had those in a while, huh? I'm keeping it simple since its pretty much crunch-time now. I hope you like them! 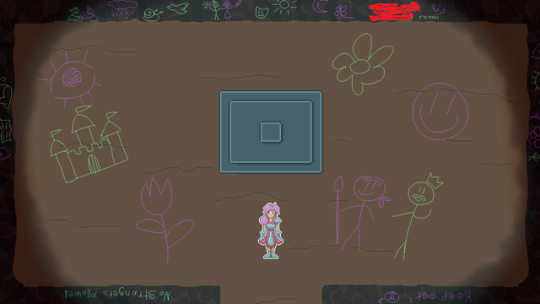 I still need to make the final boss's sprite sheet as well as the tiles needed for the basement that you go against him in. There's no battle system in this game, so you'll see on the 21st how you're gonna have to defeat him ;P.
You'll also need to get Goob out of the building after you do, so I still need to work on that as well as the images for the ending.